Left foot forward (a journey into reenactment): Bring up the guns! I just spoke to someone at the Police. They Black powder licence I was waiting for HAS NEVER EVEN ENTERED THE SYSTEM. It was February at the latest I sent it and having heard much about backlogs I assumed it was just going through the system, possibly waiting on checks or confirmations etc. Finally I e-mailed them, twice, but didn't hear back, so I phoned and was told there was no record. Maybe it was lost in the post. I don't mind doing the form again, its the wasted time that makes me cringe. They did say they had my shotgun form but that is of no use unless I have the black powder form.. yes you can use a gun but your not allowed to handle the powder needed to fire it. 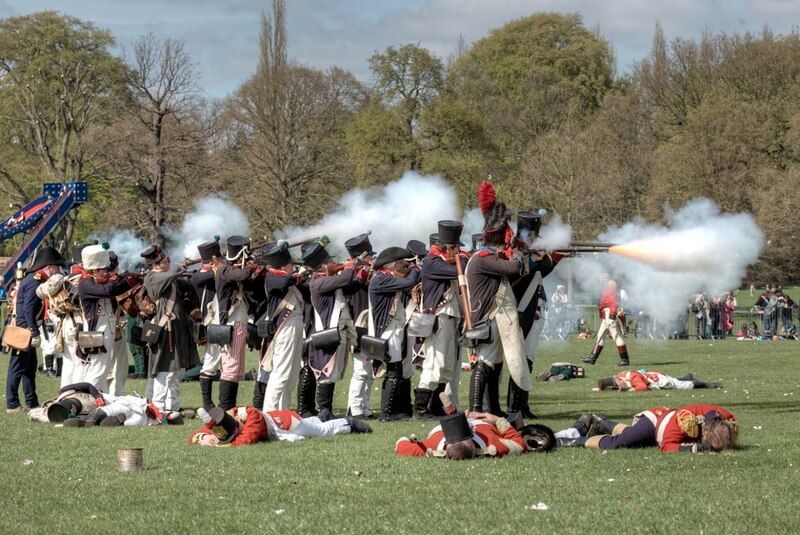 Presently I use a dummy musket at displays, which is fine for drill and when firing in line you can simply wait and jolt the gun as if it fired at the same time as your comrades, the noise and smoke will conceal the fact your not actually firing. I have no criminal record and no history of mental illness, the only blip that might stop me getting a licence is that I am diabetic. I honesty think this should be no barrier as I would be checking my blood sugar before a battle and generally don't have problems. However my doctor did block me doing a parachute jump once on medical grounds, until I made an appointment and argued my case and she reluctantly relented. I am hoping she won't do the same about this and understand the grant is for using a musket for which I will not have any ammo or powder, I'm not actually keeping a shotgun around the house. On the subject of guns these guys seem leaders in the field Derbyshire arms. I have e-mailed them about ordering a musket in future and they allow you to pay half as a deposit and half on completion, their services are in demand so it is best to order ASAP. At least if the shotgun licence comes through first I can put an order in, you cannot receive any gun without holding a licence.. I suppose I will try and collect it from an event which they are attending when that day comes. If not for the medical factor above I would order one already. At least everything should come through in time for next season!